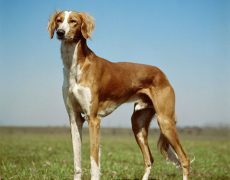 One of the oldest breeds in the world, Saluki is a slim looking dog with a rugged appearance and an agile disposition. 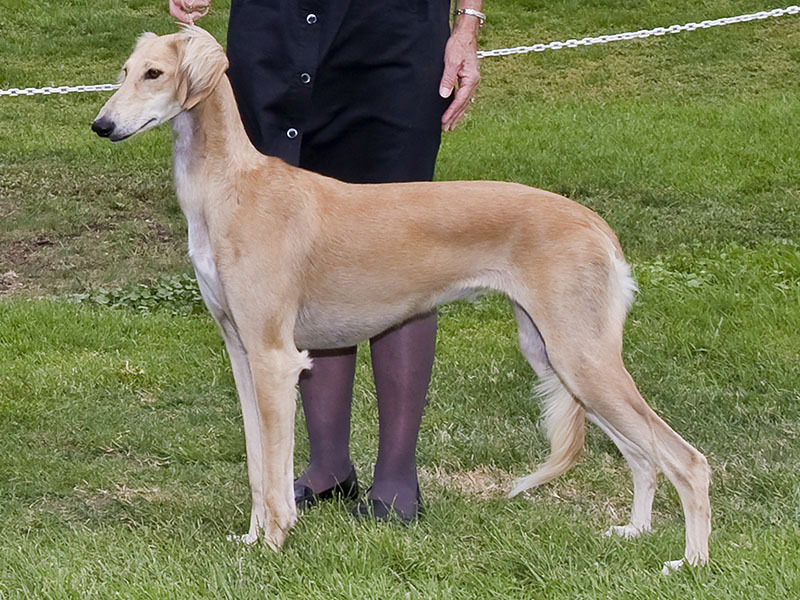 Developed in the Fertile Crescent region of Arabia, it is characterized by a long, narrow head, big, bright, oval eye, long, hanging ears, and a low set, well-feathered curved tail. 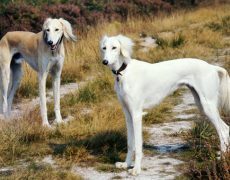 They function as sighthounds and are so adept at their job that they even go to the extent of running their quarry down to either retrieve or even kill them. 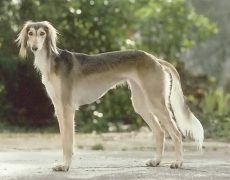 This ancient breed date back to about 7000 B.C and images of such dogs having a long, narrow body has been depicted on the potteries during the Mesopotamian civilization, which according to experts might be Saluki’s forefathers. They were even thought to be the pet dogs of the pharaohs as the Egyptian tombs also show similar looking breeds. They not just remained confined to the Sumerian and Mesopotamian civilization, but their popularity also spread to China as the Iranians came here in pursuit of trade all because of the Silk Route. 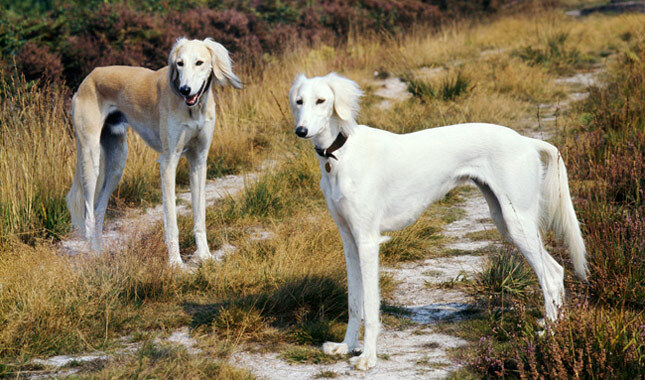 Zhu Zhanji, the fifth Emperor of the Ming dynasty, included these dogs in his paintings. 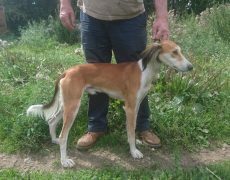 They gradually became famous outside their native land and were introduced to Europe by the Crusaders who were on their way back. 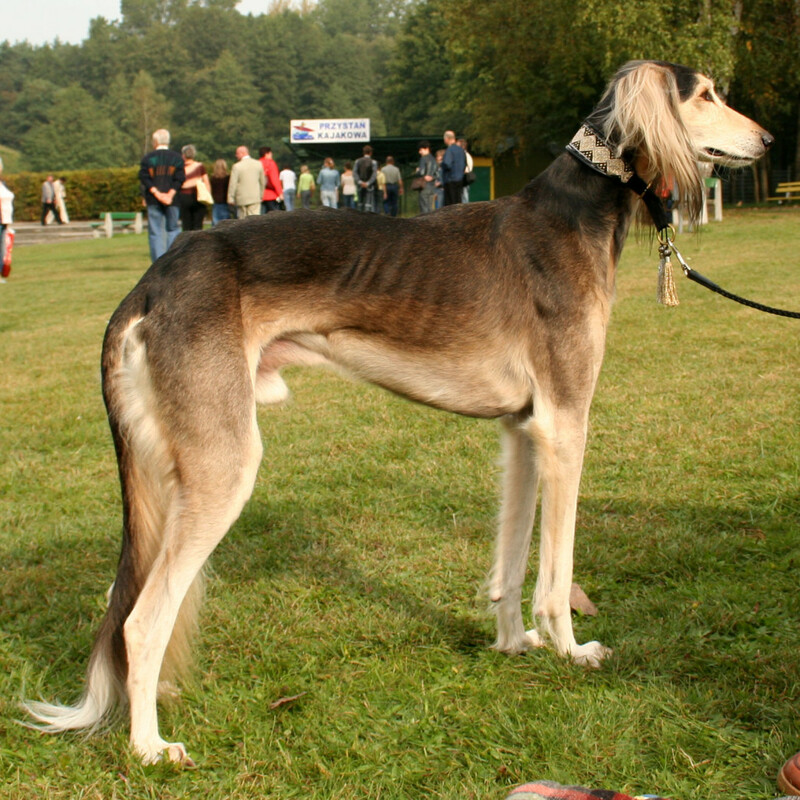 Their presence in Europe has been depicted through various paintings one of them being by the Duke of Saxony, Henry IV, which features a dog, thought to be a Saluki, wearing a collar that has been decorated using a scallop shell. 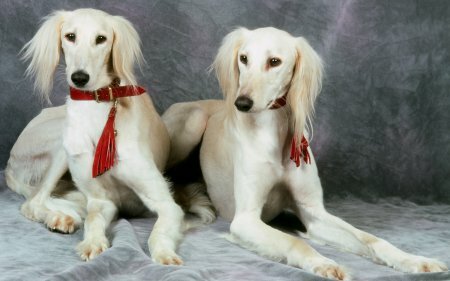 Sheik Hamad ibn Isa Al Khalifa (king of Bahrain) was said to own Salukis which were his companions whenever he went on a hunting spree. 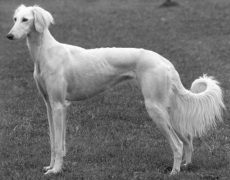 Post his death, his son tried in maintaining the purebred lines, though he was not successful in doing it as there was a lot of interbreeding. 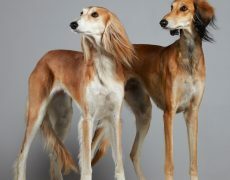 Their popularity in the Middle East persists at present too. Though they had entered Europe a long time back, it was only in 1840 that the Salukis were introduced to England. 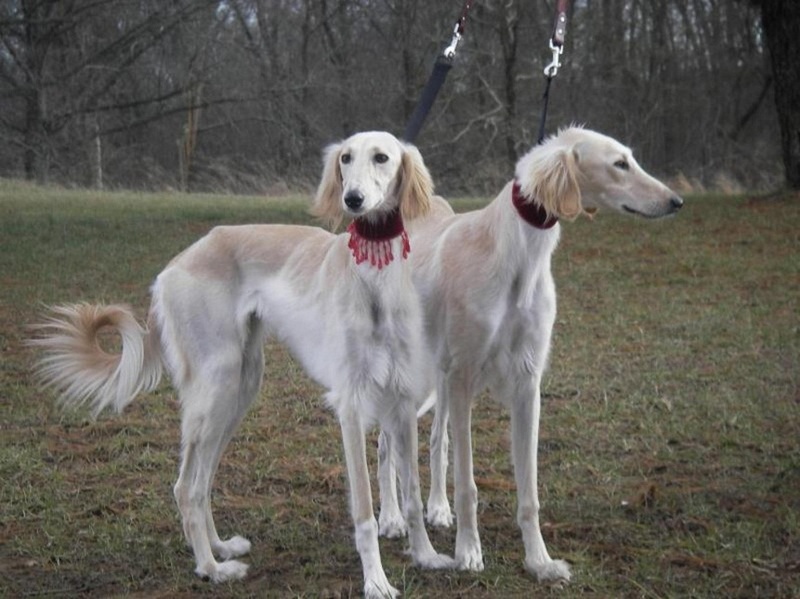 Initially called as ‘slughis’, they along with the Sloughi dogs were considered as one breed until the genetic tests which testified them to belong to separate groups. The English Salukis had been exported to several countries, but post the Second World War their numbers declined. 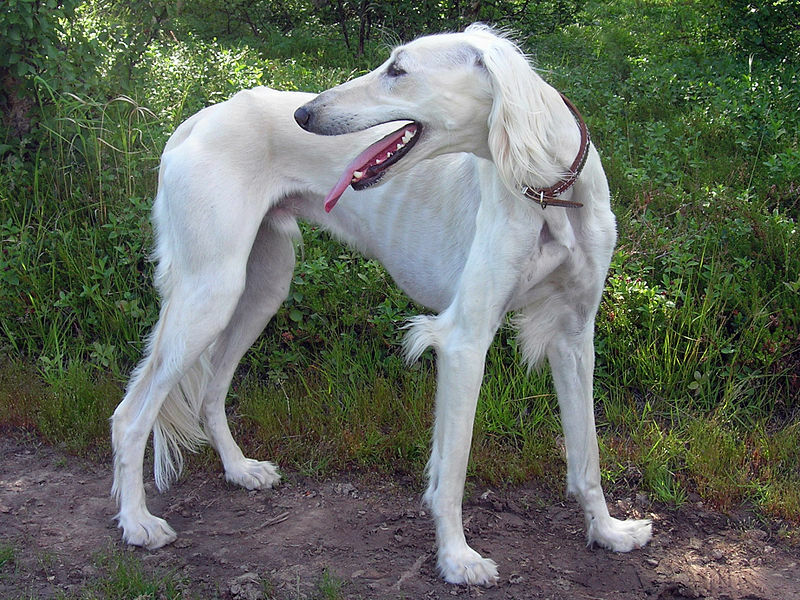 With the handful surviving the war, efforts of reviving the breed was resumed. 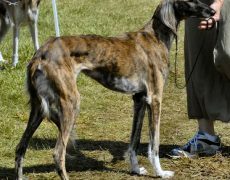 Though this breed took time to gather foothold in the United States, the AKC mentions that their popularity here has been stable over the past ten-year span. 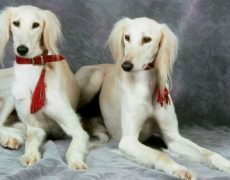 In 1927 “The Saluki Club of America” was formed and it attained AKC’s recognition in 1929. 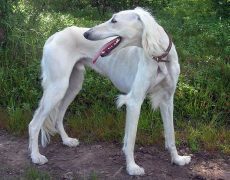 They are calm and gentle, being devoted and affectionate companions, which indeed make them well suited for apartment life. 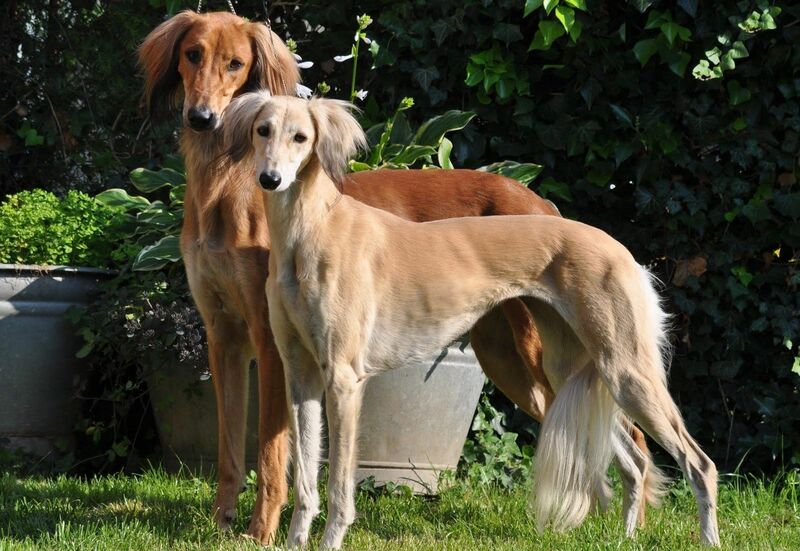 They are mostly inclined to a single person of the family. 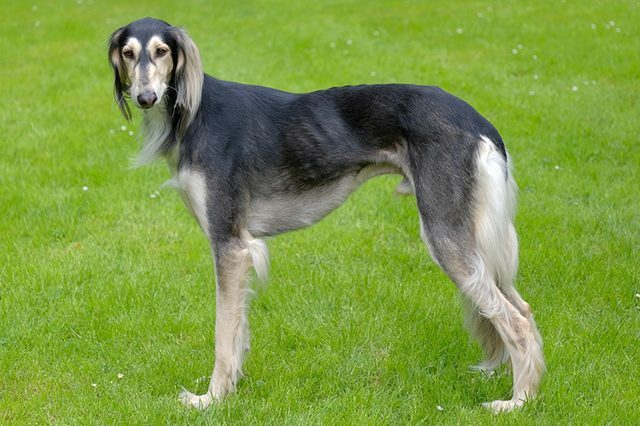 The Salukis detest being left alone for extended periods and can suffer from separation anxiety as well as get bored if you do not give it ample time, resorting to destructive activities like chewing, barking or even trying to escape. 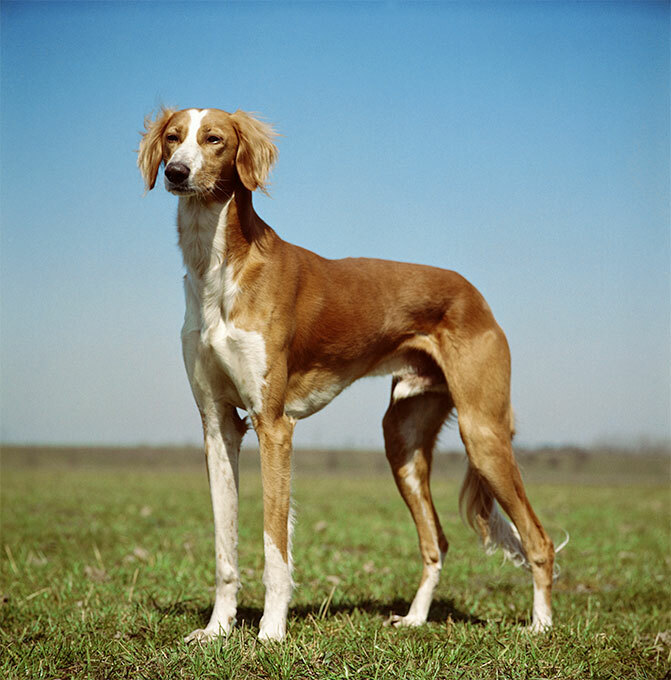 Belonging to the group of hounds most of them maintain a reserved demeanor towards strangers and can even alert their masters if they sense anything unusual. 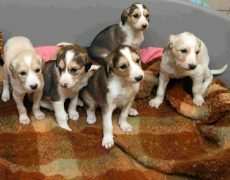 Being extremely sensitive, they cannot withstand harsh behavior, also needing a happy and calm environment to thrive. They get along well with children but are better suited for the older kids than little ones. 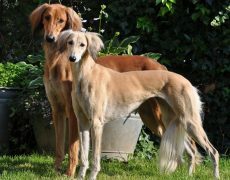 Your Saluki would even share a considerable with other dogs mainly if brought up with them, though, they prefer the company of another Saluki or any sighthound. 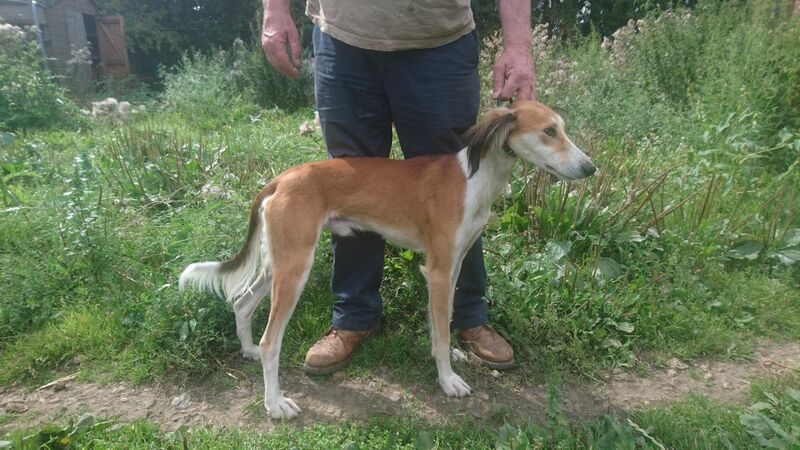 However, smaller pets are not a good option for them as channelizing their instinct to hunt, they might even go to the extent of killing the little creatures. 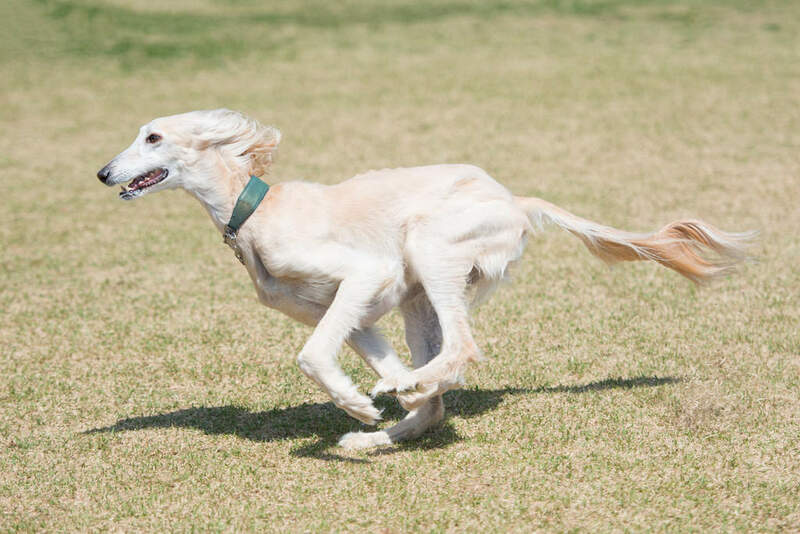 These highly active dogs need to be exercised on a regular basis to keep in perfect health. 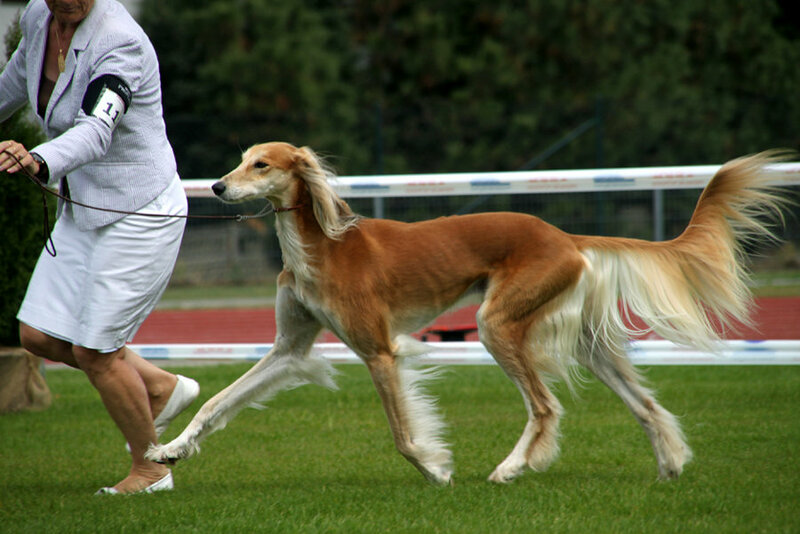 A long walk teamed with sufficient playtime would help your Saluki in properly utilizing its energy. 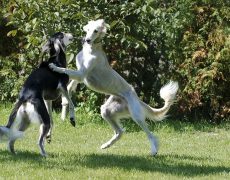 While indoors you can entertain them with soft toys or any puzzle as they are not interested in rough games or even fetching and retrieving balls. 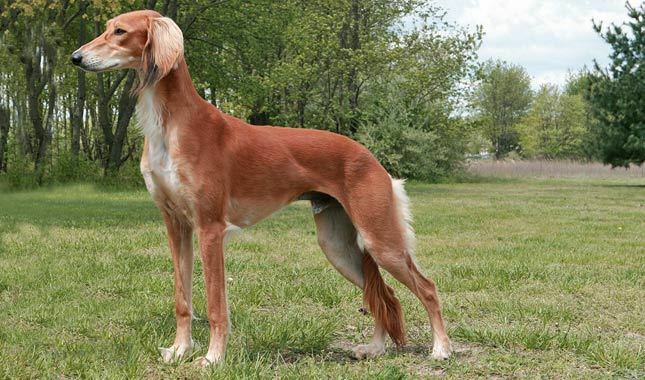 Its smooth or feathered coat is easy to maintain, requiring a weekly brushing to maintain the shine as well as prevent the formation of mats and tangles. 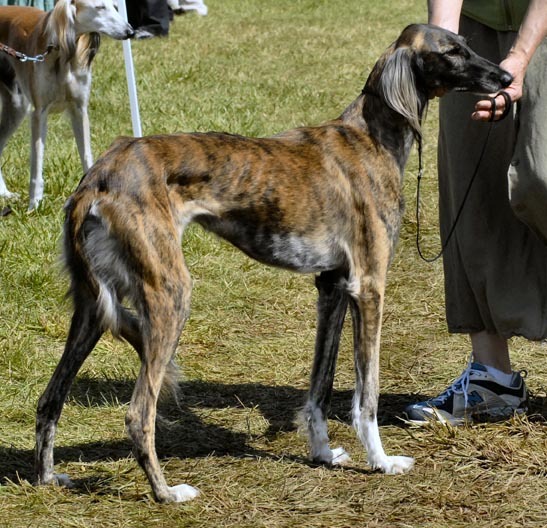 Bathe only when it is dirty else for the rest of the time you can wipe its body using a moist cloth. 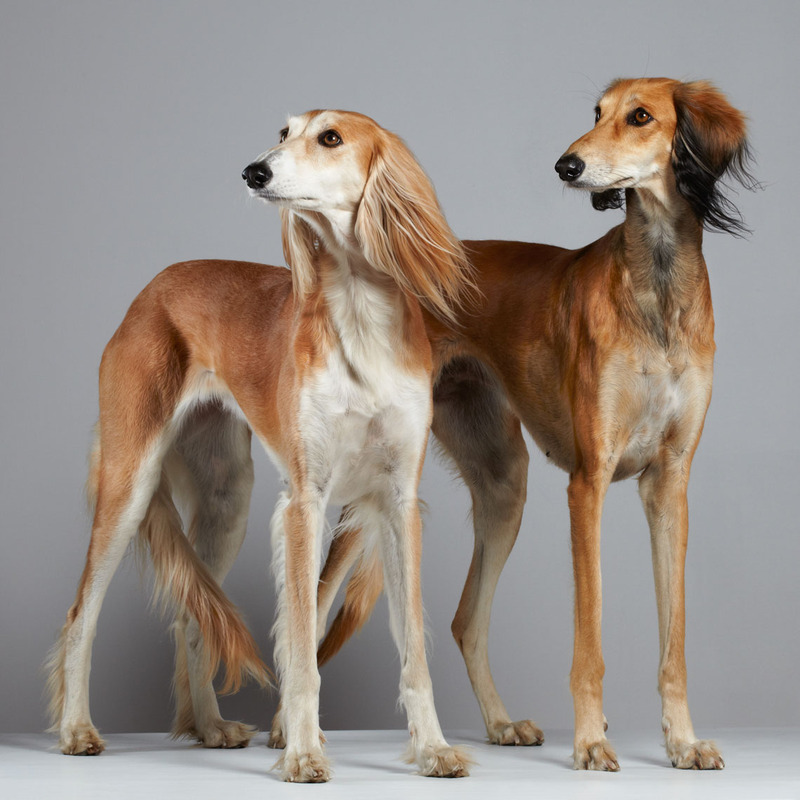 Taking care of its eyes, ears, nails, and teeth are also of utmost importance to ensure that your Saluki is healthy at the end of the day. 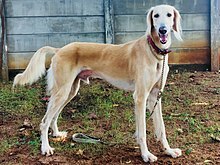 Though they are not known to suffer from any genetic problems, though some of the conditions that they may be prone to are heart ailments like cardiomyopathy, and a heart murmur, skin problems like alopecia and dermatitis and liver cancer or lymphoma. 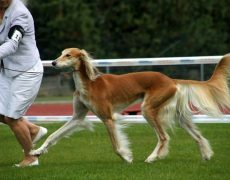 However, unlike most other breeds these dogs are not prone to hip dysplasia, and according to a survey conducted in 2003 by the British Veterinary Association, the Salukis score five on an average regarding being affected by the condition. 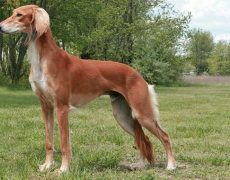 Since they are quite independent minded, training a Saluki may not be too easy a process, requiring someone who can be firm yet calm as they do not respond well to harsh treatments. 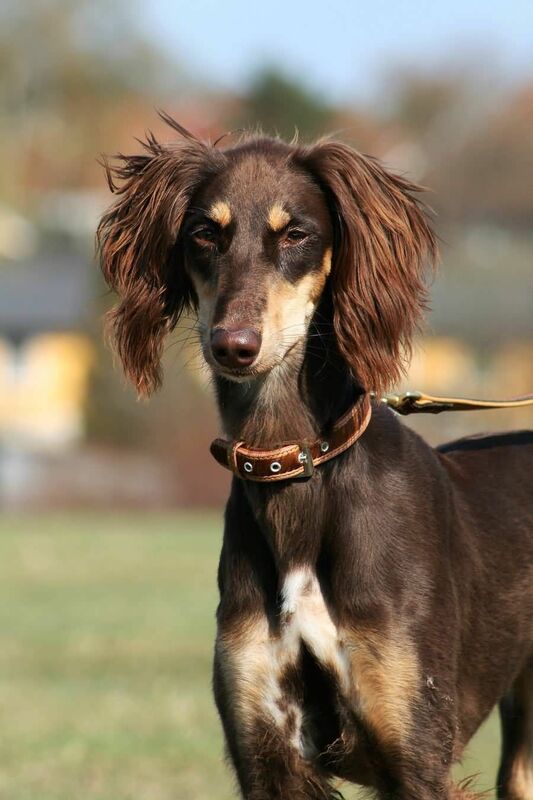 However, since they have a high level of intelligence, they would be able to easily grasp whatever is taught. 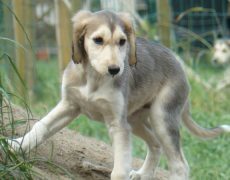 Socialization training to the Saluki puppies would help them mingle well with people. You need to introduce them to different kinds of individuals like an old man, a man with a mustache, someone walking on crutches or a person with a dark complexion. Also expose him to various textures like carpet, tile, linoleum and hardwood as well as noises like the ringing of a bell, sound of a siren and so on. 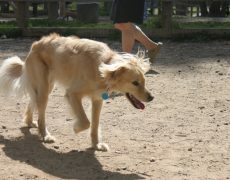 In this way, he would be more alert and aware of his surroundings. 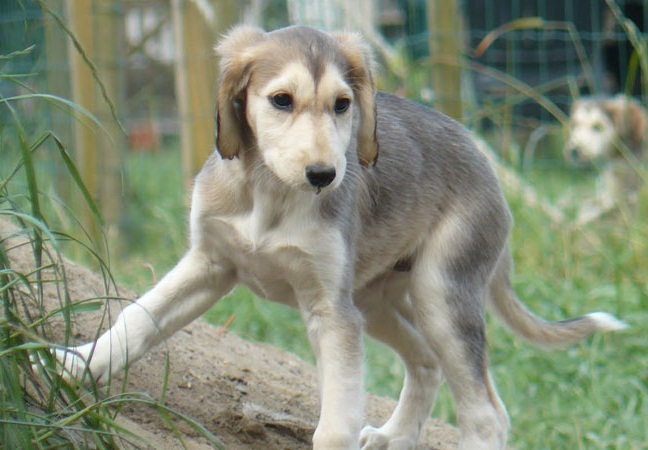 Crate training is also needed because of its tendency of suffering from separation anxiety. 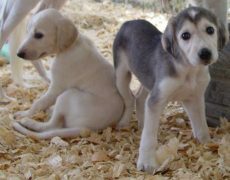 Accustom it to live in a crate at least for sometimes possibly when you are busy or out, though make sure it is given quality time lest it could run away from your house considering its inherent escaping tendency. 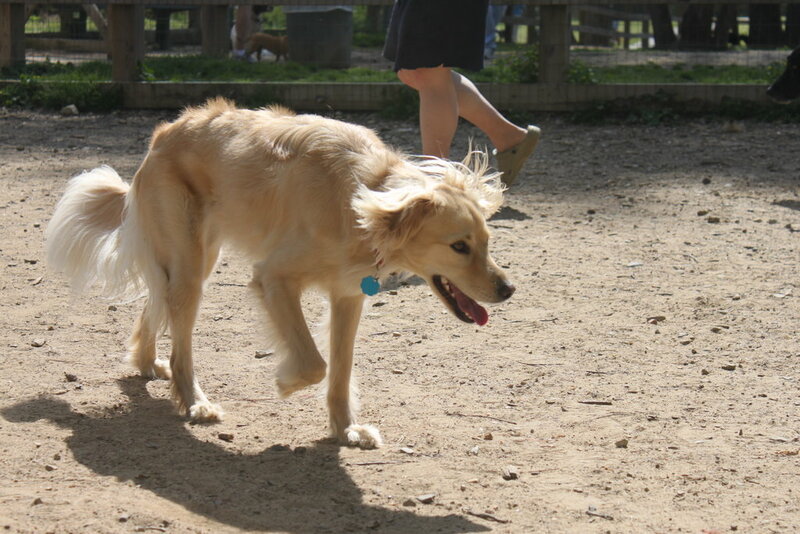 Obedience training and teaching them commands is essential to keep a check on their chasing instinct. 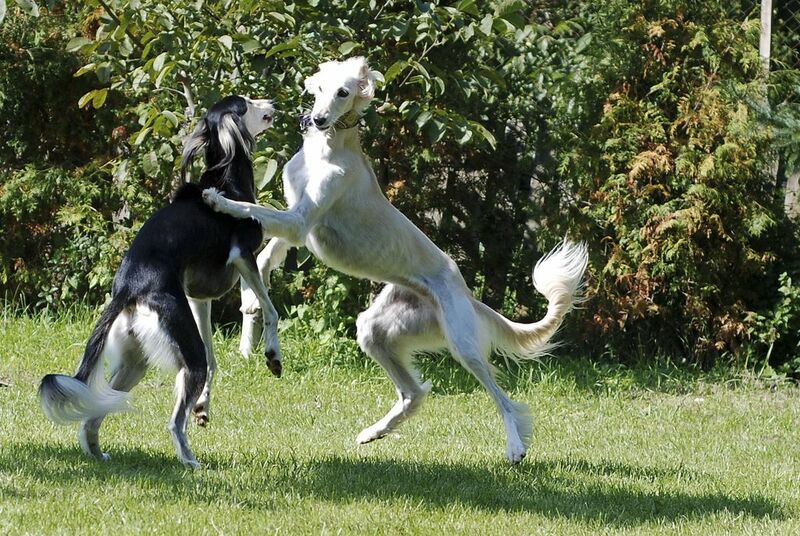 However, it is something that comes to them naturally, hence in spite of being trained, do not get surprised to see your Saluki disregarding your “NO” command and racing at top speed to get its prey the moment it spots any. 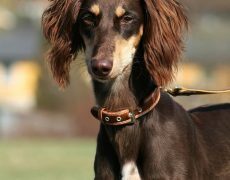 Leash training is a must since puppyhood as they are known for their jumping and chasing ability and would not even care to see any traffic the moment they get after their prey. 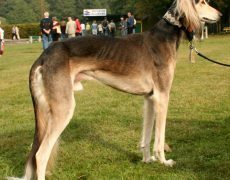 Such circumstances can lead to accidental deaths, which is high in this breed. 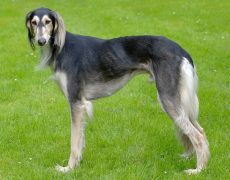 Take good care of your Saluki by giving it a high-quality dry dog food. Simultaneously incorporate homemade foods like chicken, turkey, boiled vegetables into their kibble to make sure they are getting the proper amount of nutrition they need. 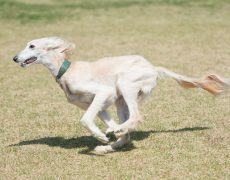 Because of their intense speed, the Arabs used the Salukis for tracking as well as bringing down the gazelles, which were considered to be the fastest of all antelopes.